A ration balancer formulated for growing, breeding, and working performance horses consuming forage that is over 50% legume. Supplies more phosphorus than calcium to help balance the high calcium; phosphorus ratio commonly seen in legume forages. 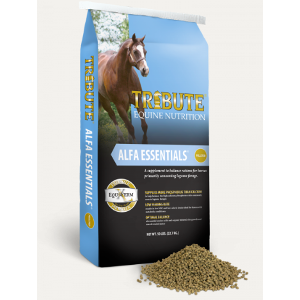 Provide essential nutrients while minimizing feeding rates, calories, and sugar/starch intake.